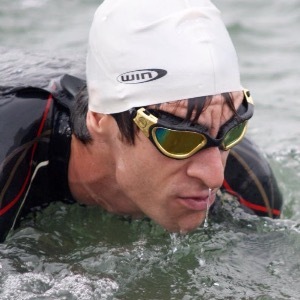 I am an IRONMAN and British Triathlon Federation certified coach specialising in helping athletes with unpredictable lifestyles maximise their time, with success helping individuals qualify for world championship events and medal at national championships. I aim to provide a truly bespoke service to all of my athletes, delivering training plans on a weekly basis that are truly unique to each individual, adjusting the plan as life gets in the way of training. I like to catch up with athletes on a regular basis to discuss progress and how best to prepare for the event. I believe in a very balanced coach/athlete relationship, catering for everybody's individual preferences, as opposed to using a blanket approach. After working in the film industry for 10 years I'm all too aware of the difficulty of balancing training with a demanding career so aim to be as flexible as possible. As well as using TrainingPeaks I also use WKO4 and Best Bike split to help give the greatest insight into your performance and prepare you for race day. As well as coaching, I also provide physiotherapy, bike fitting, biomechanics coaching, sports massage and personal training through my business to give you everything you need to get to the line in great shape and injury free. Success. Coach Simon Olney has been notified of your message. To hire Simon Olney as your coach, select the coaching service that is right for you.